Oh, Tata Harper. I'm convinced you can do no wrong. Every product just seems to make skin GLOW. 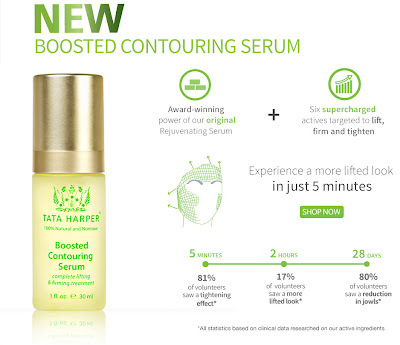 And the Tata Harper Boosted Contouring Serum is no different. 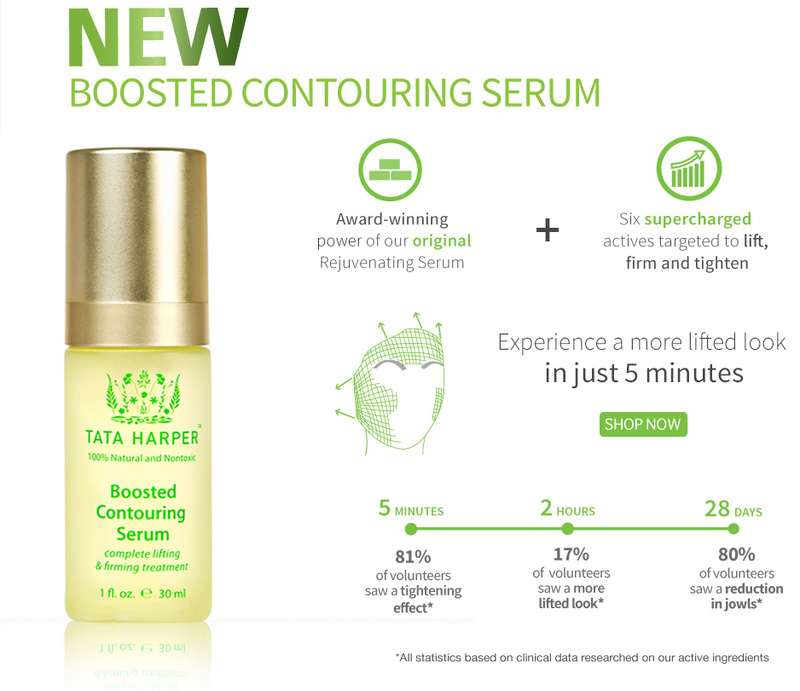 This new serum contains a host of active ingredients including orange blossom peptides, brown algae extraction and date palm extract to lift, firm and tighten the skin. And today, one lucky winner has the chance to receive a bottle of this serum! This giveaway has a retail value of $185. To enter, use the Rafflecopter widget below. Good luck! This giveaway ends on Thursday, August 22 at midnight. ONE WINNER will be chosen AT RANDOM on Friday, August 23 and notified by email. Maximum of SIX ENTRIES (one for each way listed above). Multiple entries will be disqualified. Giveaway is open to US residents only. I try to use it daily, but on days when I am too lazy to follow my complete regimen, I skip it. Daily, because I'm oily and still need anti-aging. I use a vitamin C serum every night! i use it once a week. i should use it more. I usually use a serum every day but sometimes forget. I don't use a serum-yet! I use serum a few times a week! I never use serum but realize that maybe I should. I use serum daily in the morning. I've been trying different ones to find my best match lately. So far been using argan oil 1-2x a day. Nightly when I can afford it. I try to use daily. Once a week, though I should find the time to do it more often! I use serums mostly at night time when my face/skin is in the renewal stage because I have combo skin and I like more moisture at night time. I have tried serum a few times and I really liked the way it makes my hair feel. I use serum morning and night. I've only used a serum once, but mostly only in the winter months because it's when my skin could look a tad bit more dull and in need of an enhanced glow. I use serum at night. I've never tried a serum. I haven't tried any serums but I think I should probably start. I use it a few times a week. I always use a serum at night! I don't use a serum, but I would like to. I don't use it but I probably should start!